Chemical peels have been around for many years, they are a safe and non-invasive treatment option for acne, scarring, aging and sun damaged skin. Chemical peels are a quick, simple, and safe procedure with noticeable results and minimal down time. Every year, millions of chemical peels are performed. Dermatologists and health care practitioners have used various peeling agents for decades and are professionals in administering the procedure. 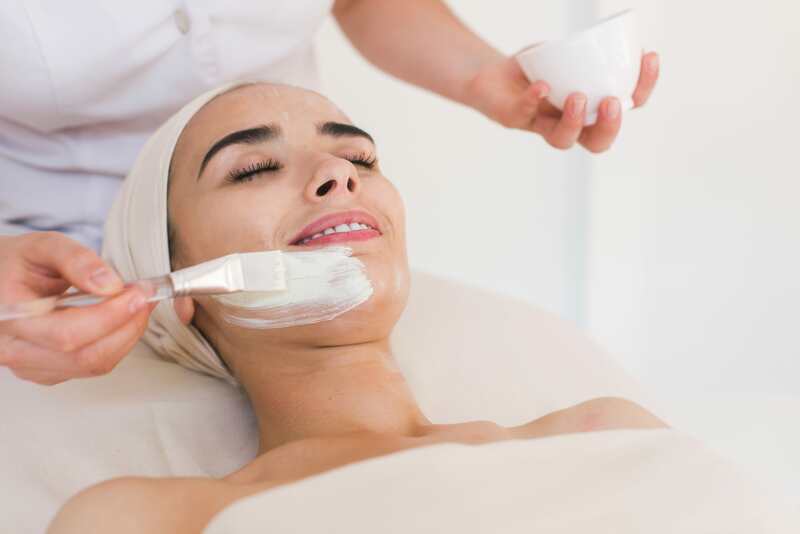 With a growing interest in rejuvenating the skin and slowing the effects of aging, chemical peeling has emerged as a popular anti-aging treatment. The results of a chemical peel may be enhanced with laser rejuvenation techniques. An evaluation by a healthcare professional at The Centre for Dermatology will be conducted before undergoing the chemical peel treatment. Chemical peels are most commonly applied to the face and neck. One or more chemical solutions may be used such as glycolic acid, salicylic acid and retinoic acid. Applying the solution causes the skin cells to separate and eventually peels off a layer of the skin. During the procedure, most patients experience a warm sensation lasting about ten minutes; sometimes stinging will occur. A chemical solution is applied to the surface of the skin that causes the top layer to peel off and allow for new skin cells to grow resulting in total skin rejuvenation. Skin will look smooth, even in colour and less wrinkled. Depending on the treatment area and desired outcome, you may have a superficial, medium or deep chemical peel. Usually the deeper the peel is, the longer the recovery time. Chemical peel treatments are performed at our office. If you are pregnant or nursing; suffer from psoriasis, eczema, dermatitis or rosacea; have taken Accutane in the last 6 months; or have an infection, you should postpone the appointment for a later date. On the day of your treatment, your skin will be cleansed thoroughly with an agent to remove excess oil in preparation for the treatment. The eyes and hair will be protected. Then, one or more chemical exfoliants such as glycolic acid, salicylic acid, or lactic acid will be applied to the skin. A Dermatologist from our clinic will suggest the proper peeling agent to use depending on the condition being treated. 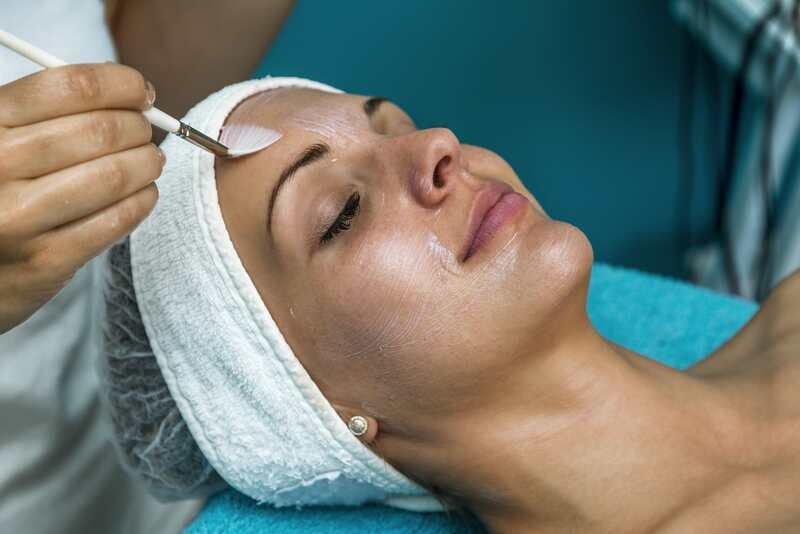 Chemical peels are a treatment used to improve the appearance of skin. Skin pigmentation such as sun spots, age spots, freckles and blotchiness can be improved with a chemical peel. It works to target pore size and reduces the appearance of any skin imperfections. Chemical peels improve overall tone, texture, and resilience of skin while increasing the production of collagen to combat the signs of aging. Following treatment, patients generally experience a feeling of a mild to moderate sunburn. Superficial peeling usually causes redness and scaling lasting three to five days. Peeling also occurs at the microscopic level; a process known as micro-peeling, that is invisible to the naked eye. Deeper peels are known to cause swelling and sometime blistering. Recovery time for deep peels is generally between 7-14 days. Since the new skin after the treatment is extremely fragile and more susceptible to injury, it is important to avoid overexposure to the sun immediately after a chemical peel. Sun tanning and tanning beds should be avoided for 1 month post treatment. A broad spectrum sunscreen with zinc oxide and/or titanium dioxide as the main ingredients should be used on a daily basis. The staff at The Centre for Dermatology will provide you will important follow-up care instructions to aid the skin in its healing process. There is a risk of developing a temporary or permanent colour change in certain skin types. Birth control pills or a family history of brown discolouration on the face may increase the possibility of developing abnormal pigmentation after the treatment. Persistent redness may also occur and can last for a few months. The risk of scarring after chemical peels is very low. If it does occur, it can usually be treated with great results. In patients with a history of fever blisters, there may be a small possibility that cold sores or herpes simplex infection can be reactivated. During your first consultation, it is important for a patient to tell our staff of any history of keloids, unusual tendencies to scar, extensive facial radiation exposure, or reoccuring cold sores, in order to ensure proper precautions are taken. The results from a chemical peel treatment varies from patient to patient depending on their skin type, skin condition, and the type of issue you are treating with the peel. Most importantly, the results depend on the depth and strength of the chemical peel recommended to you. The gentle, light chemical peel with treatments that use ingredients like salicylic acid and glycolic acid only removes the top, superficial layers of the skin. These may last an average of 1-2 months. A medium chemical peel uses a different combination of slightly stronger exfoliants and acids, such as trichloracetic acid or Jessner’s solution, among others. They work to penetrate deeper into the layers of the skin and as a result, will last between 2-6 months. Deeper chemical peels are done with a dermatologist’s careful guidance and advisory. These treatments use much stronger acids that remove damaged skin to a deeper later and maximizes skin improvements, such as the removal of deeper wrinkling. Since this is such a dramatic treatment, results can last for a few years.